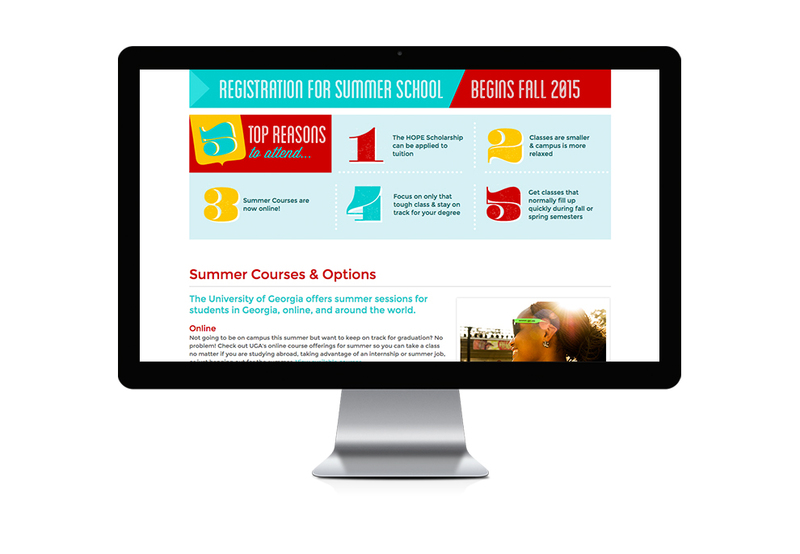 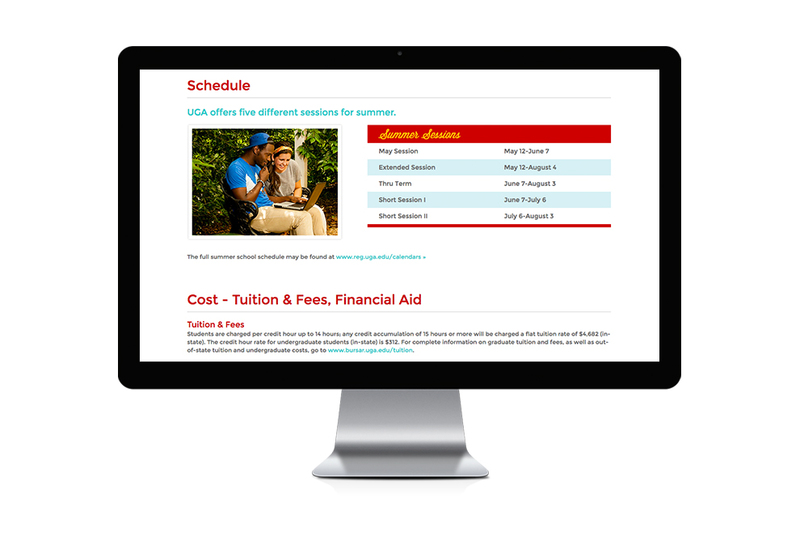 When UGA needed to ramp up their summer enrollment, they came to us to create a multi-media campaign and micro-site. 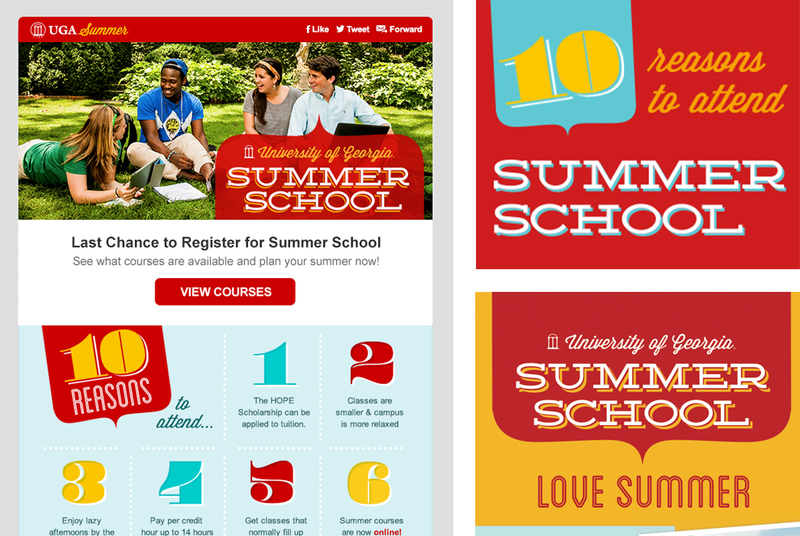 Featuring the “10 Reasons to Attend Summer School,” we developed a fun and energetic campaign using a bright color palette, photos of students on campus and downtown (shot by Cassie Wright) and lots of useful information about tuition, deadlines, courses, etc. 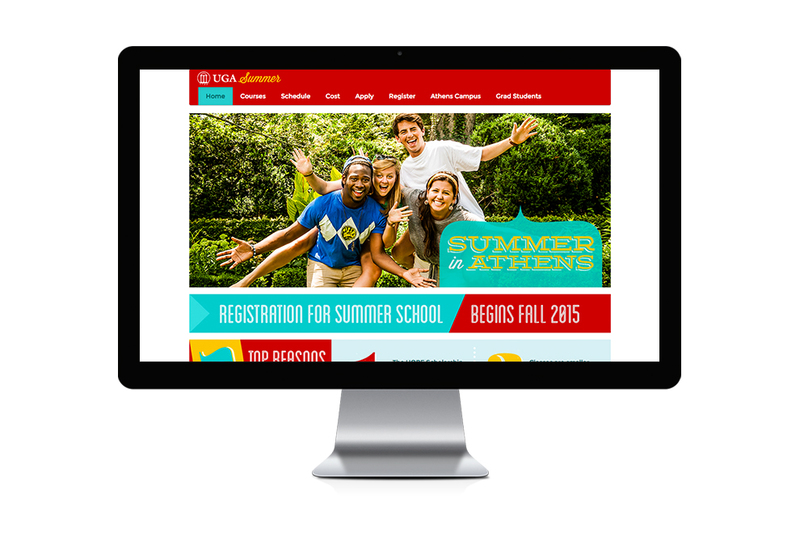 The campaign featured the microsite, a comprehensive and targeted e-mail campaign, digital ads, print ads, pop-up banners, and free sunglasses and frisbees.